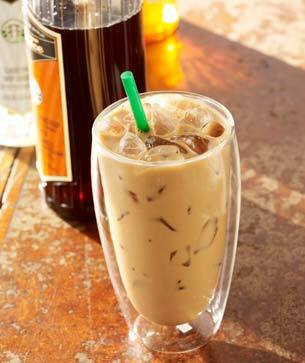 Full-bodied espresso with cold milk and your choice of syrup, poured over ice. Cool coffee is perfect in the summer. And now you can take it to the next level of perfection with your choice of syrup. Vanilla? Hazelnut? Caramel? Mocha? Cinnamon Dolce? Each one is sweet, tasty and absolutely perfect on a steamy summer’s day. Much of our sense of taste is created through the nose, not the mouth. When tasting a coffee, smell it first. What do you notice?